My first impression after hiking with saguaros was of redwoods. Of massive lifeforms with an outsized impact on their environment. Of warriors, long-lived giants, their struggles written on their skin. Yet for all of that a surprisingly shallow root system. 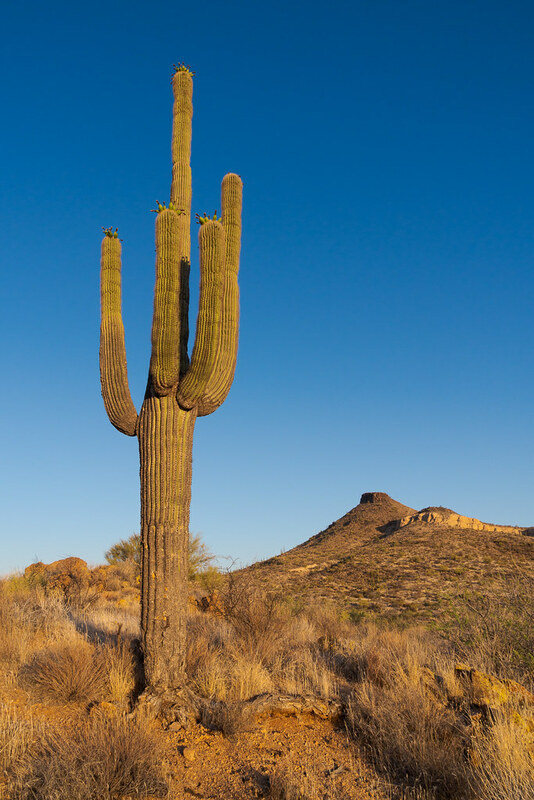 Saguaros have a central tap root that grows down but the rest of their roots radiate outward a handful of inches below the surface, soaking up every bit of rainwater they can. 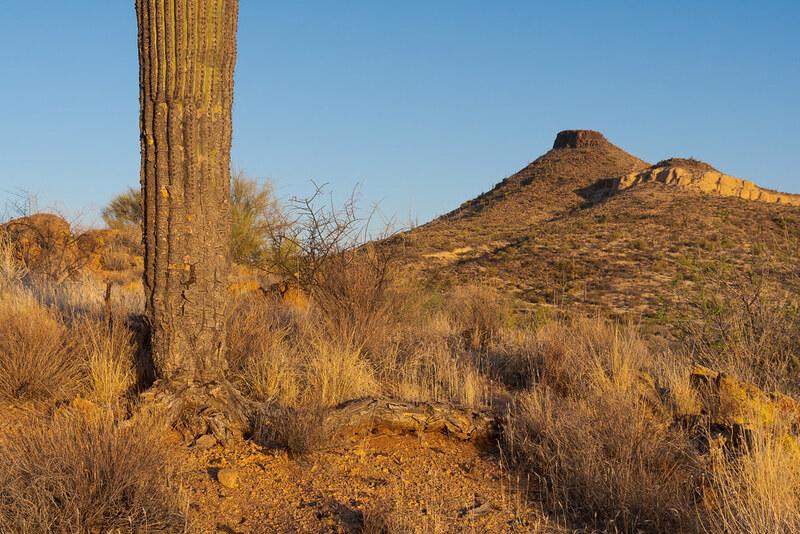 Sometimes erosion exposes these shallow roots, as on this old saguaro at sunrise on the Vaquero Trail, Brown’s Mountain rising in the background. This entry was posted in Plants, Scenic and tagged Arizona, Brown's Mountain, Brown's Ranch, cactus, desert, McDowell Sonoran Preserve, roots, saguaro, Scottsdale, Sonoran Desert, Vaquero Trail. Bookmark the permalink.